Among the few cities which are listed as the world heritage in the list of UNESCO there is a distinguished city with 3 mere colors of its landscape: blue of the sky, green of palm orchards and earth color of buildings. 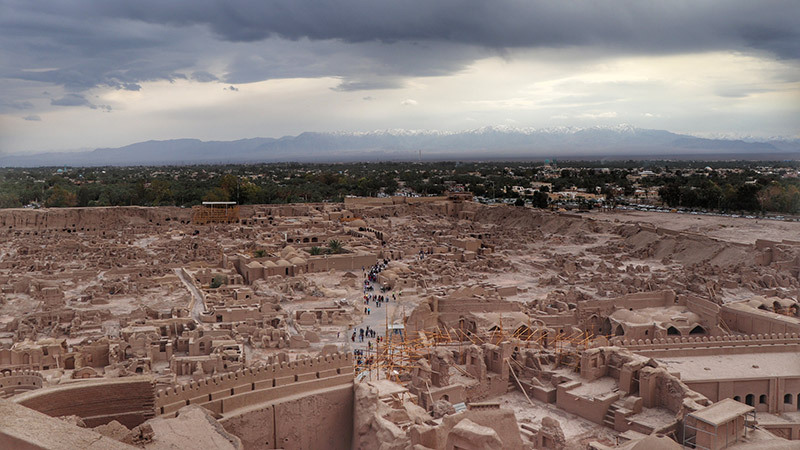 At the southwest edge of Iran's largest desert plateau, the mythical adobe city surrounds its unrivaled citadel over the highest mount sewed up history to the mythos in a single frame. 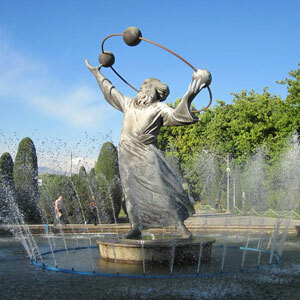 In Shahnameh, the world's longest epic poem by Ferdowsi, the footmark of Bam is narrated in the name of Kojaran town where the myth of Haftvad and his worm happens. Haftvad built a fortress upon the highest stone hill of the town. The story of Haftvad is a native belief and some locals still remember the address of a building in fort in the name of "Kod-e Kerm" which means the house of worm. Arg-e Bam as the beating heart of the Bam city is among those legendary places which bear the testimony of an ancient civilization and the glory of architecture with its 9 different layers of human development. Facing the barren lands of Lut Desert at the east, once the long shade of Bam was stretched over the Silk Road and made it one of the silk origins in Iranian Plateau. The textile and silk industry is beholden to the Bam civilization since elegant manufactured cotton production was popular in the world. As early as the 10th century, Islamic literature mentioned the elegance of the local craftwork that can be found in the buzzing bazaars of Bam city. Merchants have carried those precious fabrics, clothes, turbans, etc. at the four corners of the world. 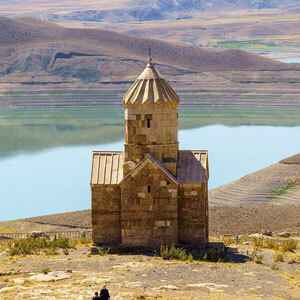 Indeed, Bam was once located at the crossroads of the famous Silk Road trading route. It was a strategic hub between East and West, while connected at the same time to the Persian Gulf as well as Egypt. Yet, the birth of adobe city goes back long before the glorious era of the Silk merchants. 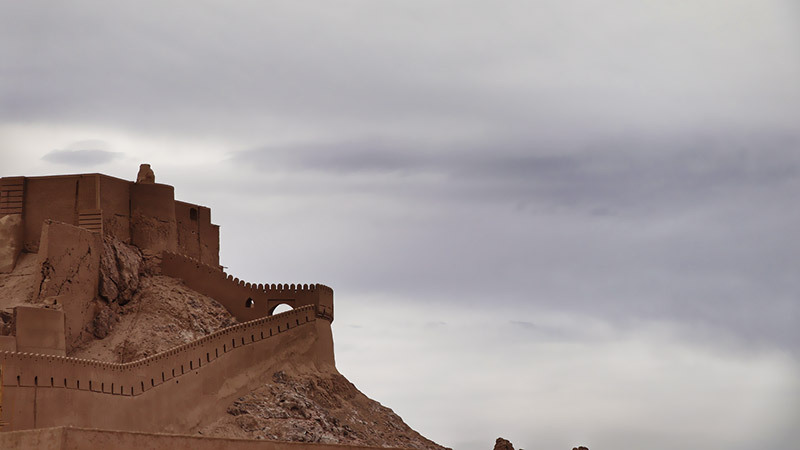 Originally, Bam was built by the great Empire of the Achaemenids, around 500 BC. Considered as the largest abode building in the world, made entirely of non-backed mud bricks, the citadel is an extraordinary example of local and ancestral architectural techniques. 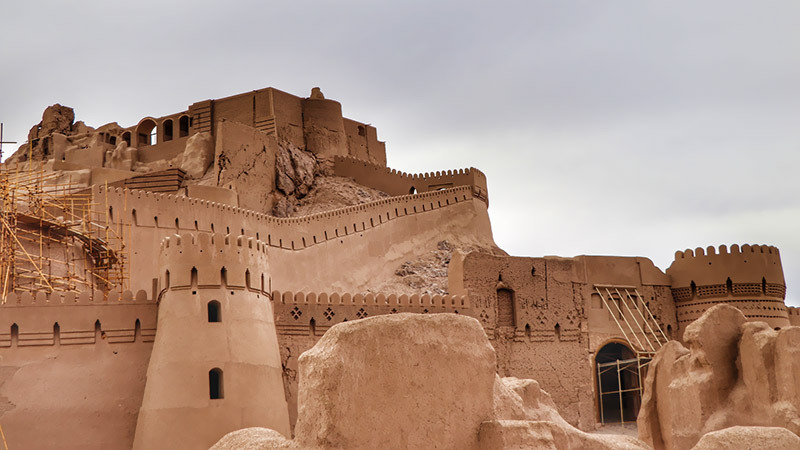 With the ingenuity of Qanats, an underground irrigation system invented in Persia, water was led from the neighboring mountains to the heart of the valley for the use of Bam citadel. Gigantic thick walls enclose the structure, which spread over two hectares and was secured by numerous watchtowers. Inside, the fortress includes two sections: one for the residential areas; the other, protected by a double fortification wall, containing the important governor's quarters and the army barracks. At the very center of the fortress, on top of a mud hill, stands the citadel, holding the seat of the governor. 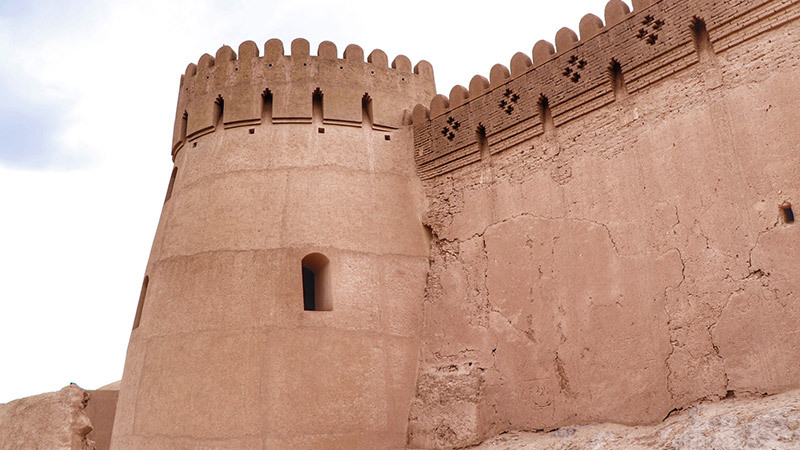 From there, this latter had a breathtaking view over the city and the surrounding landscapes of remote snowcapped mountains and green gardens of dates all around the fortress. There were wells constructed inside the each house and building of the city for the time of siege as a testify the fort had never been occupied unless with treason. 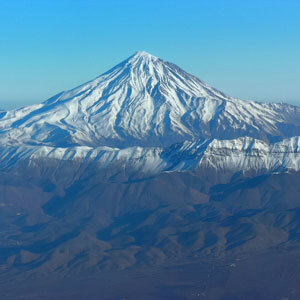 After the Parthian Empire, Sassanid and Safavid kings have successively seized the fortress, yet known as impregnable. Up to 13,000 people have once inhabited between the walls of the citadel, building modest to luxurious houses, praying at the Jomeh mosque or the Fire temple, and getting their provisions at the local bazaar. Life would go by, despite the threats of invasion and multiple regional conflicts, which caused many damages to the precious structure throughout history. Thus, after being inhabited for centuries, the population slowly abandoned Bam under the Qajar era. But the citadel stood still, to remain mostly a strategic military position, until being fully emptied in the early 1930s, in favor of a new city settled outside the limits of the ramparts. During a cold night of late 2003, while the city was at sleep, the earth suddenly burst into anger. A magnitude 6.6 earthquake struck the medieval town, turning the past glory into dust and remains. 70% of the building was destructed in few moments, especially the ones located at the top of the fragile hill hosting the governor's residence. Luckily, after years of international cooperation and restless efforts, the city came back to life. 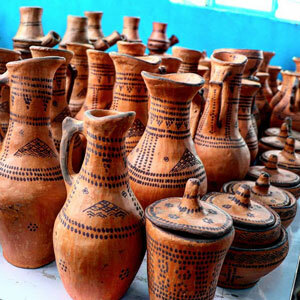 Traditional materials were used to give a second life to the mudbrick fortress city. 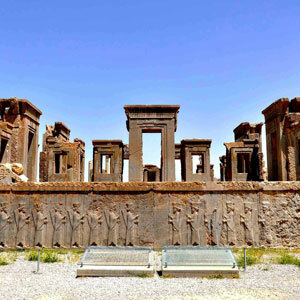 Nowadays reconstructed at 99%, the gem city has found back its former structure and is once again shining under the hot sun of southeast Iran.